Modern rider biomechanics begins by explaining fascia–the “Cinderella” of body tissues. Until recently, fascia was ignored by science, consigned to its apparent role as the body's “packing material.” However, research now shows that, in reality, this biological fabric is what links muscles into functional chains. 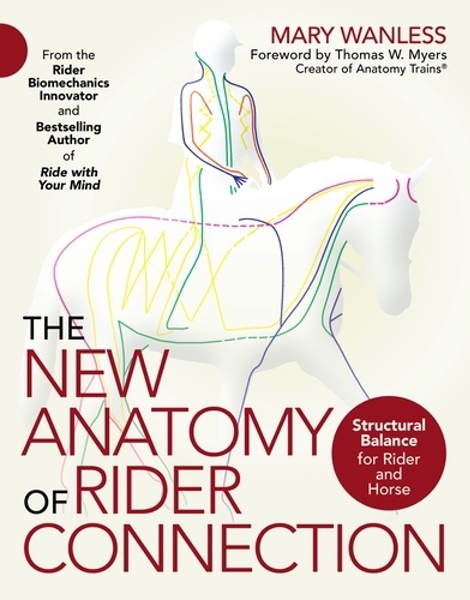 In this eye-opening book, rider bio-mechanics pioneer Mary Wanless explores the characteristics of the body's fascia and why understanding how it works not only improves a rider's balance and coordination, but also enhances “feel,” since fascia contains many more sensory nerves than muscles. These register the forces that pull on an area, and thus a “fascial net” under tension creates a wellspring of strength and sensation. By learning to access and rebalance your own fascial net, your stability, skill, and feel will be significantly improved, helping you become a quieter, more effective rider while simultaneously addressing the same imbalances in your horse.